100% Hydrolyzed Whey Protein Isolate is an advanced ultra pure Hydro WPI scientifically formulated to help you speed up recovery, help inhibit catabolism and promote fat loss. By hydrolyzing the whey protein with enzymes, which slices the protein into smaller and more absorbable peptides, we?ve developed a superior, fast-acting formula that your body can rapidly utilize and digest. Each serving is packed with 27 grams of non-denatured; non-acid treated hydrolyzed whey protein isolates; considered one of the cleanest, purest and most easily digested protein sources. 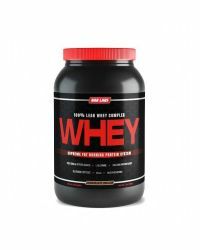 //INGREDIENTS: Ultra Pure Whey Protein Isolate, L-Glutamine, Glutamine Peptides, Free Form Amino Acids, Amino Peptides, BCAAs, Stevia, Sucralose, Natural and Artificial Flavors. See the full NAR Labs protein supplement range.